After two weeks of not eating a low carb controlled diet, it was time to say farewell to the great America’ breakfast. We therefore decided to go out in style…. 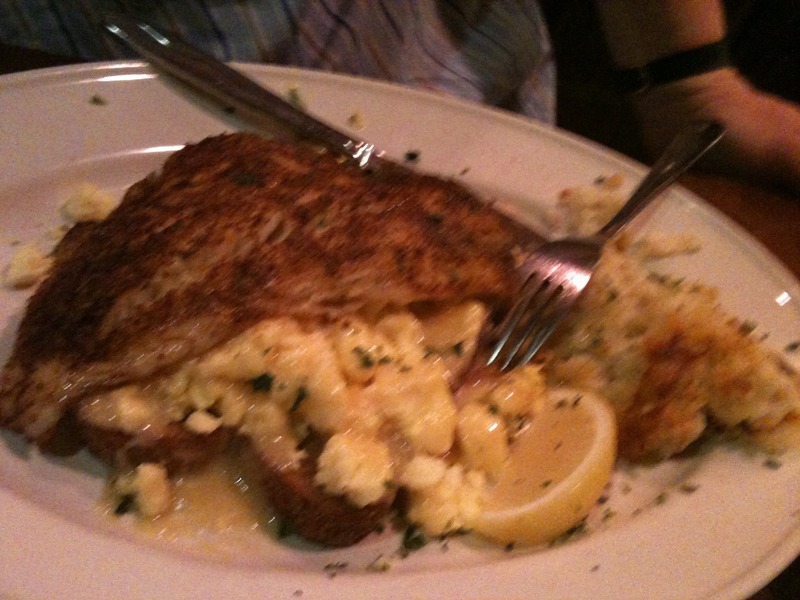 Hubby had the special scrambled eggs, grilled Walleye fish, cheesy grated potato and hollandaise sauce. 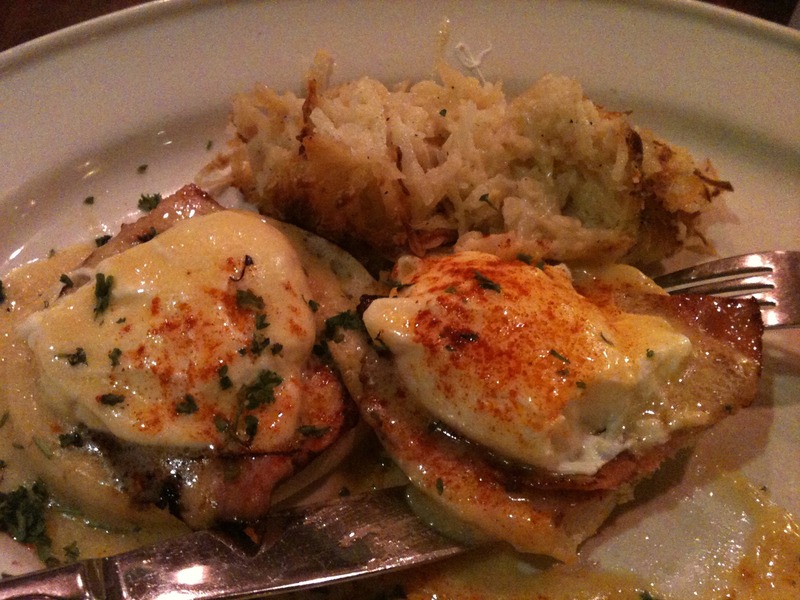 I went for the “lighter” option of eggs benedict. Both wonderful – a great last meal in the US.